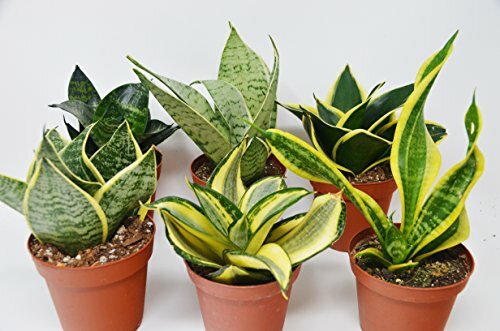 The snake plant or Sansevieria is a genus of perennial herbs with stiff, very thick leaves, often mottled with white, and clustered flowers on slender stalks. It is one of the toughest and most robust plants that are extremely difficult to kill! EASY CARE: Fun, quirky, cool plants that are natural air purifiers, easy to grow, and live for years. HARD TO KILL: Great indoor house plant that is very hard to kill! FAST SHIPPING: Your plants include expedited shipping ensuring a healthy vibrant plant arrives at your doorstep. Siam Aurora Plant in a Six inch pot with Decorative Pot Cover and free Plant food.